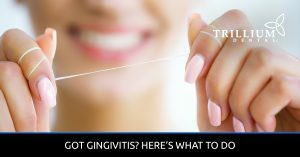 At Trillium Dental, we offer a range of periodontal treatments to treat patients with gingivitis and moderate to severe gum disease. 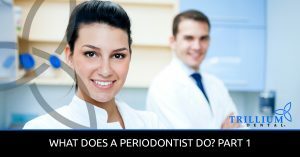 These treatments include gum lasering, root planing, gingival grafts, gingivectomies, and crown lengthening procedures. 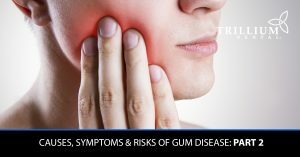 Gum disease is a serious, life-threatening condition that affects millions of people worldwide, and our dentists are here to share tips to help you take good care of your teeth and gums. 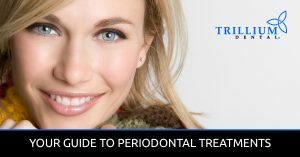 In our periodontics blog, you’ll get a guide to periodontal treatments, as well as information about the causes, symptoms, and risks of gum disease. 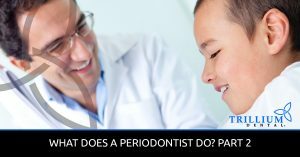 Learn more here, or contact us today to book an appointment at one of our Ottawa dental clinics!